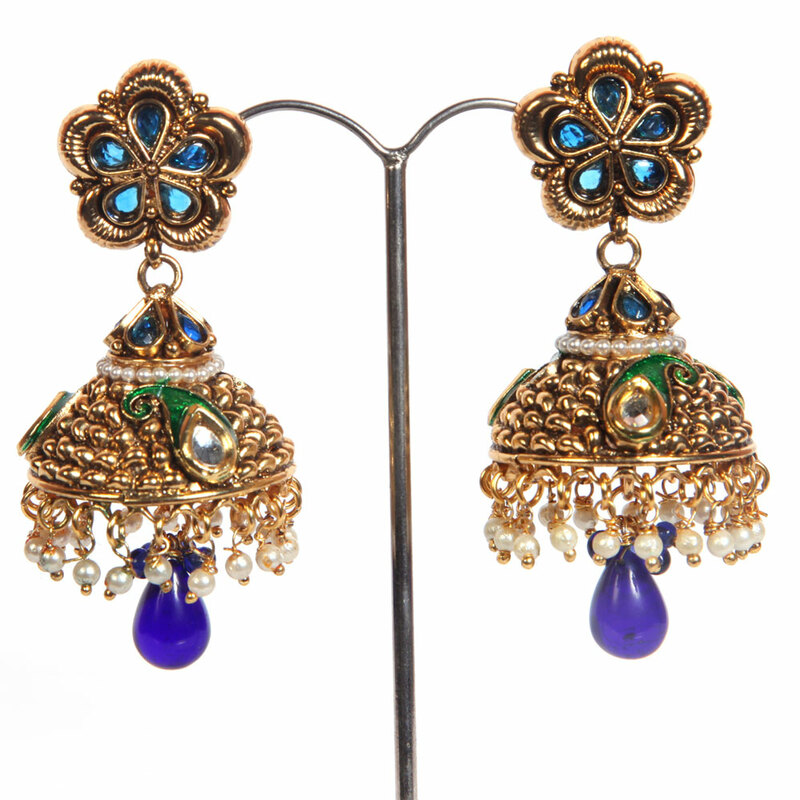 The highlight of this try of in an elaborate way designed jhumki vogue try of earrings is unquestionably the splatter of blue beads and gems that adorn the small gold plated brass metal base. The highlight of this pair of intricately designed jhumki style pair of earrings is definitely the splatter of blue beads and gems that adorn the Read More..micro gold plated brass metal base. The royal blue teardrop hanging attached to the underside of the crown of the jhumki adds to the elegance. Show Less..